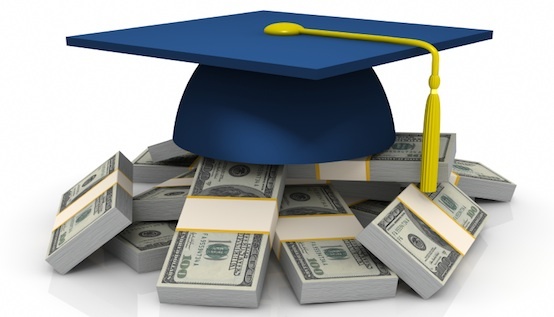 It’s not uncommon to lose track of student loan debt, either consciously or unconsciously. Delinquent student loan debt has surpassed that of credit card debt in the third quarter of 2012 for the first time, according to the Federal Reserve Bank of New York. In the fourth quarter of 2012, student loan debt reached $966 billion, an increase of $10 billion from the third quarter. Borrowers are expected to keep track of their loans but that’s not always the case. Borrowers can have multiple deferments, delinquencies or even partially paid student loan debt dating back several years. If you have lost track of your student loan debt and are not sure who you actually owe, there is a place you can contact. The National Student Loan Data System (NSLDS®) is an excellent place to start. NSLDS is the U.S. Department of Education’s central database for federal student aid records. It tracks your loans from the time you apply until you complete repayment. The database for federal student loans is incredibly accurate but the balances may be up to 120 days old. Unfortunately private loans are not in NSLDS. Your PIN is the number you used when filling out the FAFSA form (for financial aid eligibility). But if you do not currently have a PIN you can request one from the Federal Student Aid PIN website. As of yet there are no similar databases for private student loans but you may want to order your credit reports to see if they are listed. If so, there is usually an address and telephone number for each company that reports. Older loans may not be listed because negative student loans can only remain in credit files for 7.5 years. Debt collectors listed on your credit report regarding private student loans can also be a source for information. If you discover a debt collector on your credit report request debt validation and the debt collector is required under the Fair Debt Collection Practices Act to verify the debt. Some will send you a copy of the original signed contract from when you applied for the student loan.